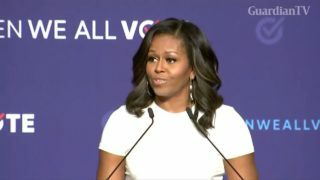 Former U.S. First Lady Michelle Obama on Tuesday told a crowd of thousands in Paris to "be strong and have faith", in the wake of the disastrous blaze at the city's Notre Dame cathedral on Monday. 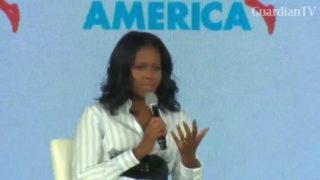 Michelle Obama's Twitter advice: "Think, spell it right, have good grammar"
Former U.S. first lady Michelle Obama took a swipe at President Donald Trump's tweeting habit telling young leaders it's not okay to "tweet every thought." 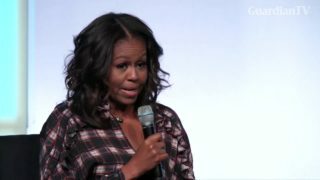 Former first lady Michelle Obama makes light of her husband's unbuttoned shirts and takes aim at President Trump's decision to relax some Obama-era school lunch rules. 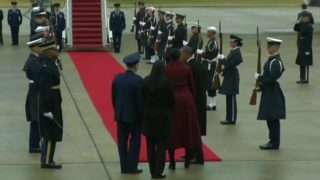 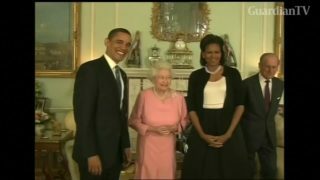 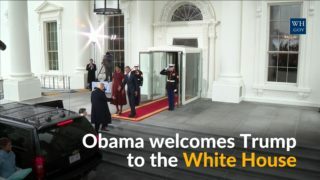 U.S. President Barack Obama and Michelle Obama greet President-elect Donald Trump and Melania Trump at the White House to host a tea prior to Trump's inauguration. 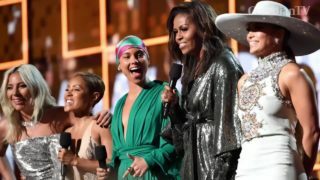 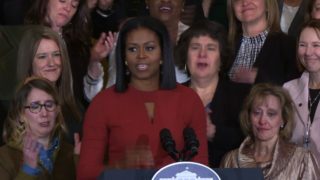 Michelle Obama urges young Americans not to fear the future but fight for it, delivering an emotive farewell speech in which she said being First Lady was the greatest honor of her life. 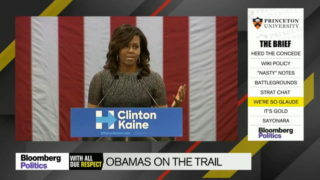 Anne Gearan discusses Michelle Obama’s role in the 2016 campaign and the WikiLeaks hacked e-mail disclosures. 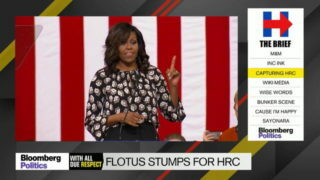 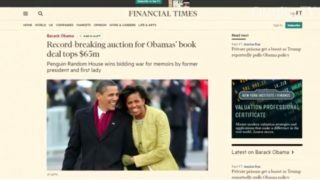 Dr. Eddie Glaude, discusses the effectiveness of the Obamas as surrogates for Hillary Clinton, the Democratic nominee’s millennial problem and the issue of criminal justice in the campaign.